The BlizzCon 2018 schedule has been revealed, and it offers some promising hints for Diablo fans. 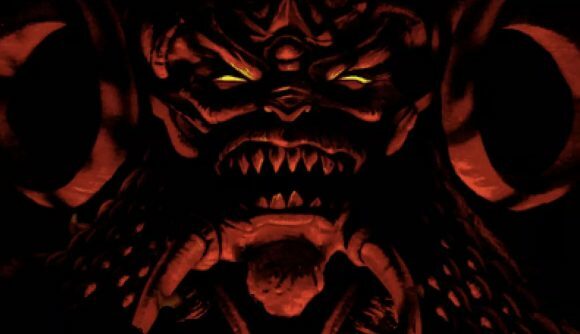 There’s nothing concrete to go on at this point, but some players are pointing towards some specific scheduling details as evidence of a major Diablo announcement. Every major Blizzard game will have a ‘What’s next’ panel at this year’s convention, which begins next month. From World of Warcraft to Heroes of the Storm to Overwatch, Blizzard devs will be taking convention attendees through the future of the company’s games. And some fans have noticed that Diablo’s panel seems to have taken pride of place. As WoW and Hearthstone podcaster Brian Black pointed out on Twitter, Diablo’s What’s Next panel is the first on the schedule (which you can check out here). That in itself isn’t massively notable, but when you look deeper into that spot, it suggests that Blizzard might have something major to reveal. The Diablo What’s Next is set to take place immediately after the convention’s opening ceremony. What’s more, it’s going to happen in the main hall of the convention. By itself, that doesn’t really tell us anything, but if you look at what else we know, it bodes pretty well for fans of the series. For the past couple of years, Blizzard has been hiring for roles that are largely considered to be for a new Diablo project. Diablo barely featured at BlizzCon 2017, as the devs said they didn’t have anything new to show. More recently, Blizzard confirmed a “new, unannounced Diablo project,” before teasing a Diablo reveal “later this year.” Diablo 3’s Nintendo Switch reveal has already happened, so we know it can’t be that, further pointing towards a brand-new Diablo announcement. We’ll have to wait for the start of BlizzCon to learn what this announcement really is, but I’d say that there’s a pretty good chance of Diablo 4 at this point. Doubtless, you’ll find out either way on November 2.